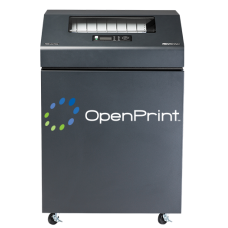 Our OpenPrint™ Cartridge Series of high definition line impact printers is compatible with today’s modern enterprise resource planning (ERP) environments including Oracle®, SAP®, Linux® and Windows®. It combines the flexibility and enhanced graphic performance offered by PostScript and PDF printing, plus the low operating cost and unmatched reliability of line matrix technology. •Reliable, jam-free performance in challenging environments (hot, humid, dusty or cold). 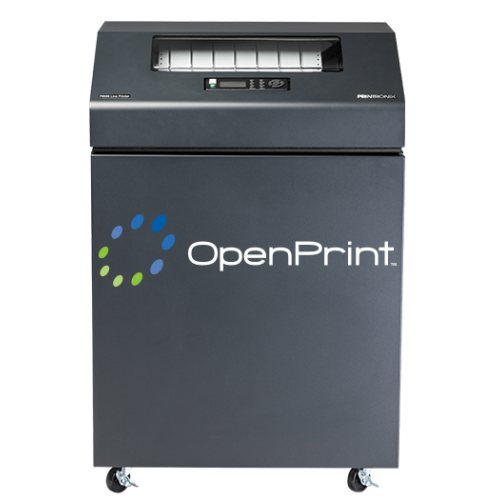 Get a printing system that can stand up to the rigors of the toughest workplaces and deliver connectivity and flexibility – OpenPrint has it all.